Discussion in 'Forum Feedback' started by TheBroker, Aug 31, 2014. I believe it would be in your best interest if you were to purchase an XenForo License. For only $140 you can migrate over to the worlds leading forum software. This really would help you best when it comes to activity(for no one is joining vb forums anymore), and just a better look. If I were you, I'd highly look into it. If you have questions, I can try to answer them my best. As I do have knowledge of how Xen works. Since nothing was really said in response, I have a xenforo license I wanted to spend some time within my local host showing you what could really come about. These are all, example photos and not live in any way. I've used db1986 as an example. Do note, that forums have been known to jump activity with new software. What better way to try and bring back old members to the forum, and the game than through a nice fresh look. I think if you're to go through with this it would be really amazing to inviting all the 10,000+ members you have to a grand re-opening. Even Sponsor a isketch game for it. 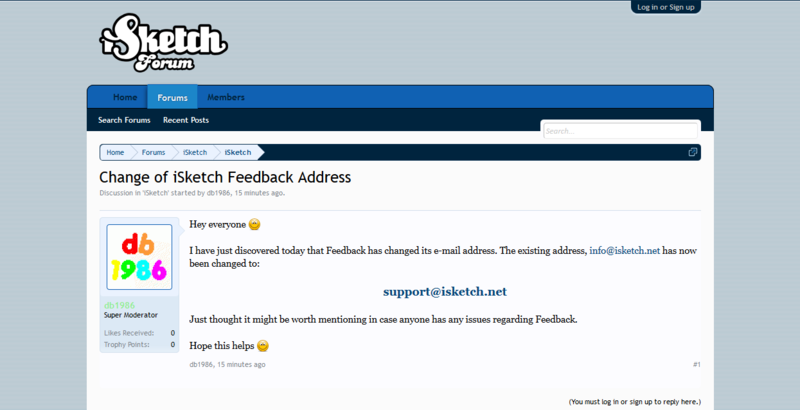 Maybe see if isketch will name iskforum an official isketch forum and host a contact form that automatically sends tech, ban, or member issues to support's email. All in all, even if you decide no more time will be put into forum upgrades, I had fun doing this. I'd love to see a more active forum. When I first joined nearly 7 years ago, chatter, pictures, games and competitions were so much more frequent than they are now. Alas, how times have changed. Hmm, I wonder how inclined he'd be if I offered to use my xenforo license. Thanks for your feedback & e-mail. I was looking at the possibility of doing a conversion to XF in summer last year and, indeed, it is superior to the version of vBulletin we have here. Cost was the main barrier to migrating, the other being time (we have a couple of bespoke features). If you are willing to gift your spare license, or sell it at a reduced cost, then yeah I would be keen to convert... it would be good opportunity to make some other needed improvements. I was very disappointed to see that IB made such a mess, with no attempt to fix where they went wrong. Saddening really. I understand that cost and time are a hard thing that play a hard game at times on forums. 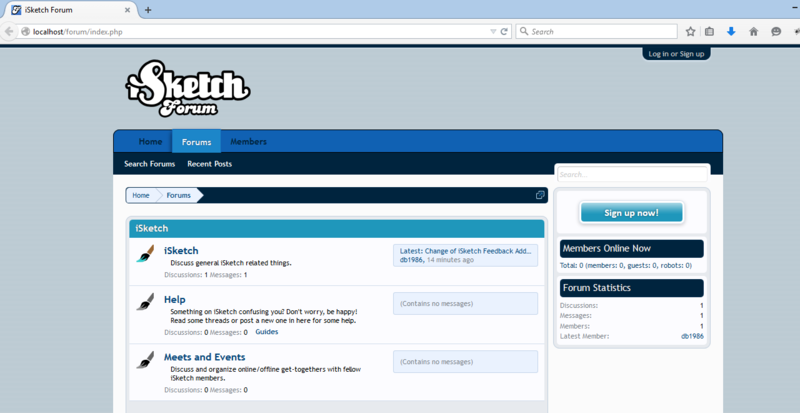 iSketch Forum has offered so much to members over the years it's only fair I somehow show my gratitude to you. For that reason I am completely willing to gift my spare license to you. I will start a Conversation with you with more details. Yes, very disappointing, especially as there was such a strong community around the development of mods etc. Thanks, that is very generous of you! I will reply to your message and work out some sort of schedule for the migration.